We travel through space and time, with a pair of researchers who have a pronounced passion for a plant brought to Africa by seafaring Portuguese traders in the 16th century. Fastforwarding to today, half a millennium later, the plant is widespread and deep inland, and is the staple food for Africa’s most populous nation – Nigeria. Meet cassava, the survivor. 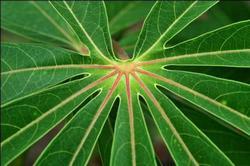 After rice and maize, cassava is the third-largest source of carbohydrate in the tropics. Surviving, nay thriving, in poor soils and shaking off the vagaries of weather – including an exceptionally high threshold for drought – little wonder that cassava, the ‘camel’ of crops is naturally the main staple in Nigeria. And with that, it has propelled Nigeria to the very top of the cassava totem pole as the world’s leading cassava producer, and consumer: most Nigerians eat cassava in one form or another practically every day. Great, huh? But there’s also a darker side to cassava, as we will soon find out from our two cassava experts. 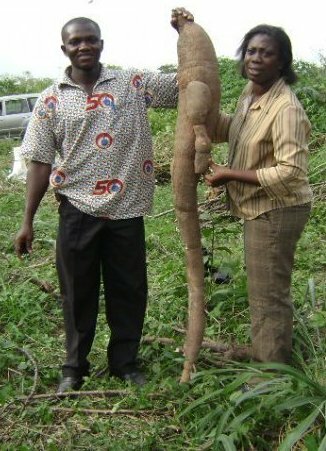 For starters, the undisputed global cassava giant, Nigeria, produces just enough to feed herself. Even if there were a surplus for the external demand, farming families, which make up 70 percent of the Nigerian population, have limited access to these lucrative external markets. Secondly, cassava mosaic disease (CMD) and cassava brown streak disease (CBSD) are deadly in Africa. Plus, cassava is a late bloomer (up to two years growth cycle, typically one year), so breeding and testing improved varieties takes time. Finally, cassava is most definitely not à la mode at all in modern crop breeding: the crop is an unfashionably late entrant into the world of molecular breeding, owing to its complex genetics which denied cassava the molecular tools that open the door to this glamour world of ‘crop supermodels’. 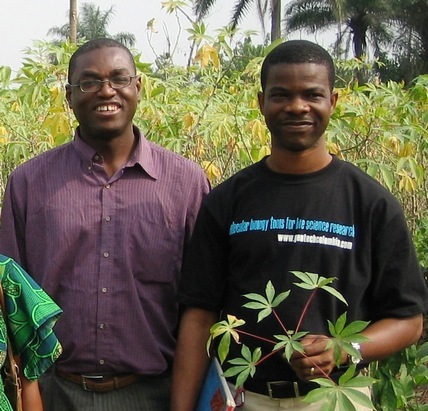 Emmanuel Okogbenin (left) and Chiedozie Egesi (right) in a cassava field. Hitting two birds with one stone…two stones are even better! As Principal Investigators (PIs) leading three different projects in the GCP-funded Cassava Research Initiative, Chiedozie and Emmanuel, together with other colleagues from across Africa, form a formidable team. They also share a vision to enable farmers increase cassava production for cash, beyond subsistence. This means ensuring farmers have new varieties of cassava that guarantee high starch-rich yields in the face of evolving diseases and capricious weather. Emmanuel is equally committed to the cassava cause. As part of his brief, Emmanuel liaises with the Nigerian government, to develop for – and promote to – farmers high-starch cassava varieties. This ensures a carefully crafted multi-pronged strategy to revolutionise cassava: NRCRI develops and releases improved varieties, buttressed by financial incentives and marketing opportunities that encourage farmers to grow and sell more cassava, which spurs production, thereby simultaneously boosting food security while also improving livelihoods. Standing tall. Disease resistance and high starch and yield aside, farmers also prefer an upright architecture, which not only significantly increases the number of plants per unit, but also favours intercropping, a perennial favourite for cassava farmers. No one has been able to manufacture time yet, so how can breeders get around cassava’s notoriously long breeding cycle? MAS (marker-assisted selection) is crop breeding’s magic key for making time. And just as humans can benefit from healthy donor organ replacement, so too does cassava, with cross-continental cousins donating genes to rescue the cousin in need. Latin American cassava is nutrient-rich, while African cassava is hardier, being more resilient to pests, disease and harsh environments. Thanks to marker-assisted breeding, CMD resistance from African cassava can now be rapidly ‘injected’ much faster into Latin American cassava for release in Africa. 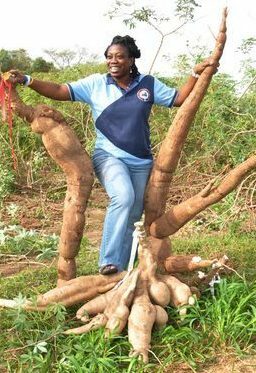 Consequently, in just a three-year span (2010–2012), Chiedozie, Emmanuel, Martin Fregene of the Donald Danforth Plant Science Center (USA) and the NRCRI team, released two new cassava varieties from Latin American genetic backgrounds (CR41-10 and CR36-5). These varieties, developed with GCP funding, are the first molecular-bred cassava ever to be released, meaning they are a momentous milestone in cassava’s belated but steady march towards its own green revolution. With GCP funding, Chiedozie and Emmanuel have been able to use the latest molecular-breeding techniques to speed up CMD resistance. Using marker-assisted selection (MAS) which is much more efficient, the scientists identified plants combining CMD resistance with desirable genetic traits. “MAS for CMD resistance from Latin American germplasm is much cheaper, and more focused,” explains Emmanuel. “There is no longer any need to ship in tonnes of plant material to Africa. We can narrow down our search at an early stage by selecting only material that displays markers for the genetic traits we’re looking for.” Using markers, combining traits (known as ‘gene pyramiding’) for CMD resistance is faster and more efficient, as it is difficult to distinguish phenotypes with multiple resistance in the field by just observing with the naked eye. This is what makes marker-assisted breeding so effective and desirable in Africa. GCP’s mode of doing business coupled with its community spirit has spurred the NRCRI scientists to cast their eyes further out to the wider horizon beyond their own borders. Closer home in Africa, as PI of the corollary African breeders community of practice (CoP) project, Emmanuel co-organises regular workshops with plant breeders from a dozen other countries (Côte d’Ivoire, DR Congo, Ethiopia, Ghana, Kenya, Liberia, Malawi, Mozambique, Sierra Leone, Tanzania, Uganda and South Sudan). 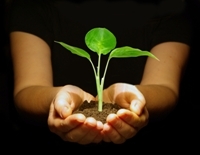 These events are an opportunity to share knowledge on molecular breeding and compare notes. Putting words to action, though this work on CBSD resistance is still in its early stages, more than 1,000 cassava genotypes (different genetic combinations) have already have been screened in the course of just one year. Chiedozie hopes that the team will be able to identify key genetic markers, and validate these in field trials in Tanzania, where CBSD is widespread. This East African stopover, Chiedozie emphasises, is a crucial checkpoint in the West African process. So the cassava CoP not only provides moral but also material support. And Africa is not the limit. GCP-funded work on CMD resistance is more advanced than the CBSD work, though the real breakthrough in CMD only happened recently, on the international arena within which the African breeders now operate. According to Chiedozie, two entire decades of screening cassava genotypes from Latin America yielded no resistance to CMD. The reason for this is that although it is widespread in Africa, CMD is non-existent in Latin America. 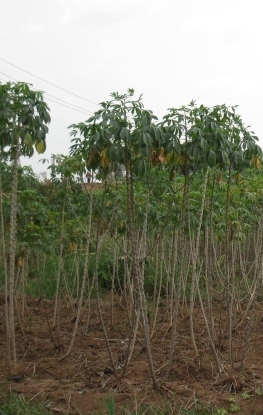 Through international collaborative efforts, cassava scientists, led by Martin Fregene (now based in USA), screened plants from Nigeria and discovered markers for the CMD2 gene, indicating resistance to CMD. Once they had found these markers, the scientists were off and away! By taking the best of the Latin American material and crossing it with Nigerian genotypes that have CMD resistance, promising lines were developed from which the Nigerian team produced two new varieties. These varieties, CR41-10 and CR36-5, have already been released to farmers, and that is not all. More varieties bred using these two as parents are in the pipeline. The success of the CGP-funded cassava research in Nigeria lies in its in-country leadership. Chiedozie, Emmanuel and Martin are native Nigerian scientists and as such are – in many ways – best placed to drive a research collaboration to benefit the country’s farmers and boost food security. “GCP funding has given us the opportunity to show that a national organisation can do the job and deliver,” says Chiedozie. This proven expertise has helped NRCRI forge other partnerships and attract more financial support, for example from the Bill & Melinda Gates Foundation for a project on genomic selection. GCP support has also bolstered communications with the Nigerian government, which has launched financial instruments, such as a wheat tariff,* to boost cassava production and use. The Nigerian government is right in step aiding cassava’s march towards the crop’s own green revolution, as is evident in the the Minister of Agriculture’s tweet earlier this year, and in his video interview below. See also related media story, ‘Long wait for cassava bread’. Clearly, the ‘camel’ crop – once considered an ‘orphan’ in research – has travelled as far in science as in geography, and it is a precious asset to deploy for food production in a climate-change-prone world. As Emmanuel observes, cassava’s future can only be brighter! 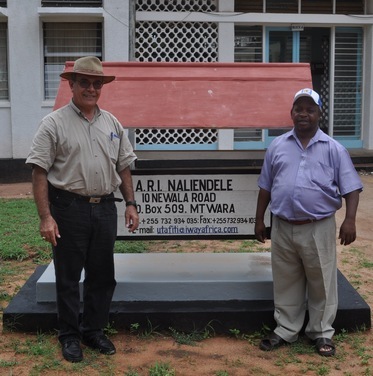 Tanzanian groundnut researchers breaking new ground…and carrying their own crosses! Q: How did you go about identifying appropriate groundnut-breeding material for Tanzania? A: We received 300 reference-set lines from ICRISAT [International Crops Research Institute for the Semi-Arid Tropics], which we then genotyped over three years [2008– 2010] for both drought tolerance and disease resistance. After we identified the best varieties, these were advanced to TLII [TLI’s sister project] for participatory variety selection with farmers in 2011–2012, followed by seed multiplication. From our work with ICRISAT, we have already released five varieties. Harvesting the groundnut reference-set collection at Naliendele. A ‘reference set’ is a sub-sample of existing germplasm collections that facilitates and enables access to existing crop diversity for desired traits, such as drought tolerance or resistance to disease or pests. ARI–Naliendele has also benefitted from both human and infrastructure capacity building. Our scientists and technicians were trained in drought phenotyping at ICRISAT Headquarters in India. One of our research assistants, Mashamba Philipo, benefitted from six-month training, following which he advanced to an MSc specialising in drought phenotpying using molecular breeding. In his work, he is now using drought germplasm received from ICRISAT. In terms of laboratory and field infrastructure, the station got irrigation equipment to optimise drought-phenotyping trials. Precision phenotyping and accurate phenotypic data are indispensable for effective molecular breeding. 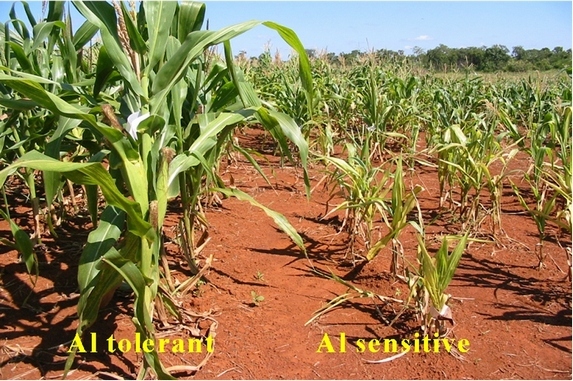 To facilitate this, ARI–Naliendele benefitted from computers, measuring scales, laboratory ware and a portable weather station, all in a bid to assure good information on phenotyping. But by far, TLI’s major investment in Tanzania’s groundnut breeding has been the irrigation system which is about to be completed. 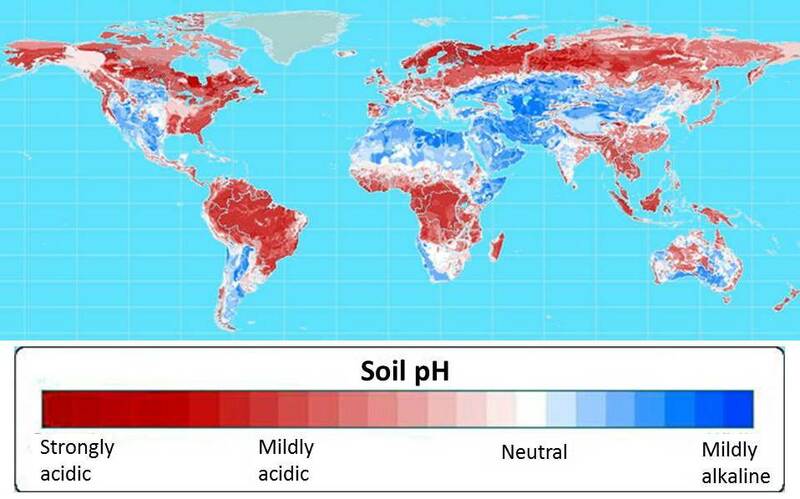 This will be very useful as we enter TLIII for drought phenotyping. Q: What difference has participating in TLI made? A: Frankly, we were not used to being so well-equipped, neither with dealing with such a large volume as 300 lines! But we filtered down and selected the well-performing lines which had the desired traits, and we built on these good lines. The equipment purchased through the project not only helped us with the actual phenotyping and being able to accurately confirm selected lines, but also made it possible for us to conduct off-season trials. We’re learning hybridisation skills so that we can use TLI donors to improve local varieties, and our technicians have been specifically trained in this area. For us, this is a big achievement to be able to do national crosses. Previously, we relied on ICRISAT doing the crosses for us, but we can now do our own crosses. The difference this makes is that we are advancing to a functional breeding programme in Tanzania, meaning the gains made are not only sustainable, but also give us independence and autonomy to operate. Consequently, we are coming up with other segregating material from what we’ve already obtained, depending on the trait of interest we are after. Another big benefit is directly interacting with world-class scientists in the international arena through the GCP community and connections – top-rated experts not just from ICRISAT, but also from IITA, CIAT, EMBRAPA [Brazil], and China’s DNA Research Institute. We have learnt a lot from them, especially during our annual review meetings. We developing-country scientists are used to applied research and conventional breeding, but we now see the value and the need for adjusting ourselves to understand the use of molecular markers in groundnut breeding. We now look forward to TLIII where we expect to make impact by practically applying our knowledge to groundnut production in Tanzania. Interesting! And this gets us squarely back to capacity building. What are your goals or aspirations in this area? A: Let us not forget that TLI is implemented by the national programmes. In Africa, capacity building is critical, and people want to be trained. I would love to see fulltime scientists advance to PhD level in these areas which are a new way of doing business for us. I would love for us to have the capacity to adapt to our own environment for QTLs [quantitative trait loci], QTL mapping, and marker-assisted selection. Such capacity at national level would be very welcome. We also hope to link with advanced labs such as BecA [Biosciences eastern and southern Africa] for TLI activities, and to go beyond service provision with them so that our scientists can go to these labs and learn. There should also be exchange visits between scientists for learning and sharing, to get up to date on the latest methods and technologies out there. For GCP’s Integrated Breeding Platform [IBP], this would help IBP developers to design reality-based tools, and also to benefit from user input in refining the tools. ‘Naliendele’ demystified: what does the name mean? A cowpea experimental plot at IITA. 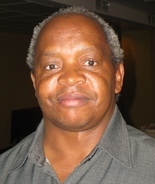 He and his research team are therefore developing genomic resources that country-based breeding programmes can use. 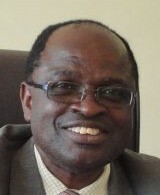 Target-country partners are Institut de l’Environnement et de Recherches Agricoles (INERA) in Burkina Faso; Universidade Eduardo Mondlane in Mozambique; and Institut Sénégalais de Recherches Agricoles (ISRA) in Senegal. Other partners are the International Institute of Tropical Agriculture (IITA) headquartered in Nigeria and USA’s Feed the Future Innovation Labs for Collaborative Research on Grain Legumes and for Climate Resilient Cowpeas. 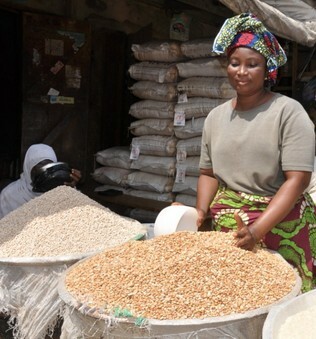 Cowpea seller at Bodija Market, Ibadan, Nigeria. 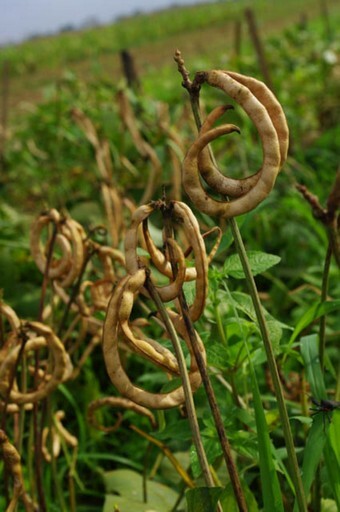 Culinary curves and curls: the curved shape means that these cowpea pods are mature and ripe for harvesting. And what are Phil and team doing to contribute to making this happen? Clearly then, the job is not yet done, as the ultimate goal is to deliver better cowpeas to farmers. 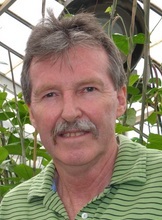 But while this goal is yet to be attained and – realistically – can only be some more years down the road, it is also equally clear that Phil and his team have already chalked up remarkable achievements in the quest to improve cowpeas. They hope to continue pressing onwards and upwards in the proposed Tropical Legumes III Project, the anticipated successor to TLI and its twin project TLII – Tropical Legumes II. 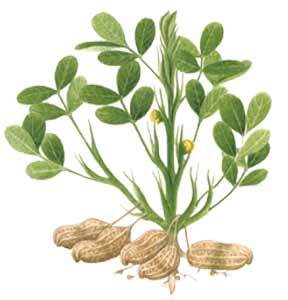 Groundnuts (Arachis hypogaea L), also called peanuts, are a significant subsistence and food crop in sub-Saharan Africa. There, groundnuts are grown in practically every country, with the continent accounting for roughly a quarter of the world’s production. Despite this rosy African statistic, problems abound: for example, nearly half (40 percent) of the of the world’s total acreage for groundnuts is in Africa, which dramatically dims the 25 percent global production quota. Clearly then, Africa’s yields are low, borne out by telling statistics which show African production at 950 kilos per hectare, in acute contrast to 1.8 tonnes per hectare in Asia. Groundnuts are mostly cultivated by impoverished farmers living in the semi-arid tropics where rainfall is both low and erratic.
. Tough it may be for crop scientists, but clearly not too tough for these two youngsters shelling groundnuts at Mhperembe Market, Malawi. “To help double the productivity of this crop over the next 10 years, we need to improve groundnuts’ ability to resist drought and diseases without farmers needing to purchase costly agricultural inputs,” says Vincent. 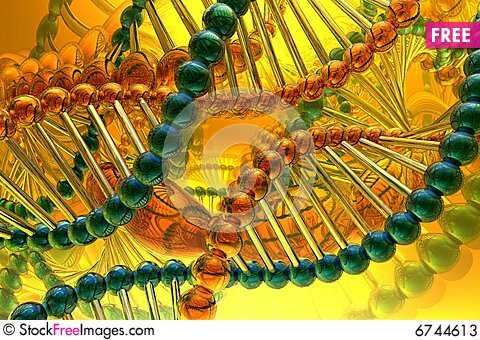 But the crop’s genetic structure is complex, plus, for resistance to these stresses, its genetic diversity is narrow. 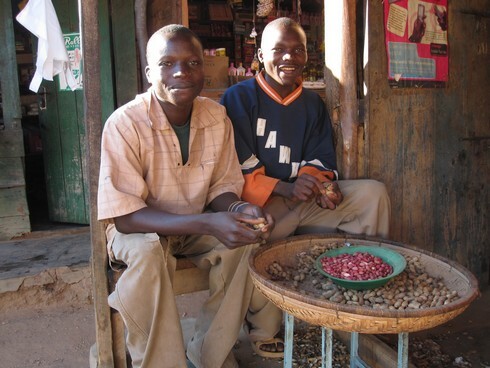 “Groundnuts are therefore difficult and slow to breed using conventional methods,” says Vincent. And yet, as we shall see later, groundnuts are distinctly disadvantaged when it comes to molecular breeding. But first, the good news! Kith and kin are key in groundnut science. Vincent points out that groundnuts have several wild relatives that carry the necessary genes for resisting the stresses – especially leaf diseases – to which the crop is susceptible. These genes can be transferred from the wild cousins to the cultivated crop by blending conventional and molecular breeding techniques. But that is easier said than done, because cultivated groundnuts can’t cross naturally with their wild relatives owing to chromosomic differences. “Partners are key to this work,” says Vincent. The groundnut work is led by the International Crops Research Institute for the Semi-Arid Tropics (ICRISAT), with collaborators in the target countries, which are Malawi (Chitedze Agricultural Research Centre), Senegal (Institut sénégalais de recherches agricoles ‒ ISRA) and Tanzania (Agricultural Research Institute, Naliendele), Moving forward together, continuous capacity building for partners in Africa is part and parcel of the project. 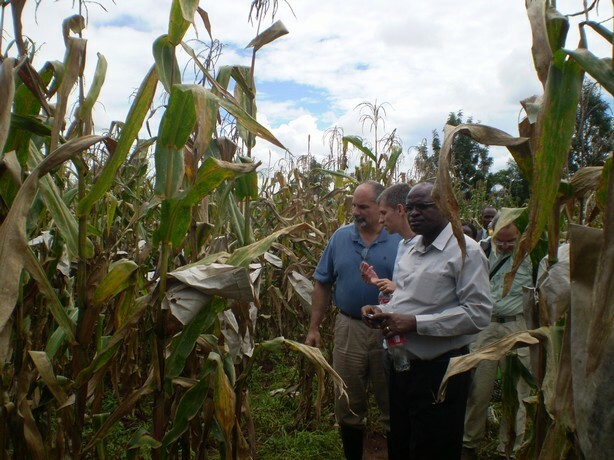 To this end, there have been several training workshops in core areas such as molecular breeding and phenotyping, farmer field days in the context of participatory varietal selection, as well as longer-term training on more complex topics such as drought, in addition to equipping the partners with the critical infrastructure needed for effective phenotyping. 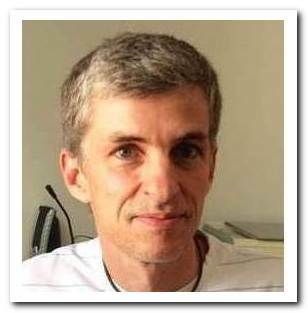 Further afield out of Africa, Vincent’s team also collaborates with the Brazilian Agricultural Research Corporation (EMBRAPA), France’s Centre de coopération internationale en recherche agronomique pour le développement ‒ CIRAD, and USA’s University of Georgia. 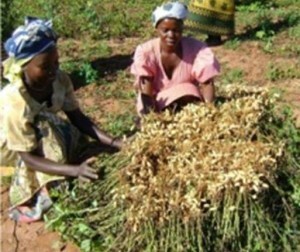 This ‘variegated’ partnership has been essential for unlocking the wild groundnut diversity when about 12 years ago the EMBRAPA team successfully generated a number of ‘synthetic’ groundnuts from their wild relatives. 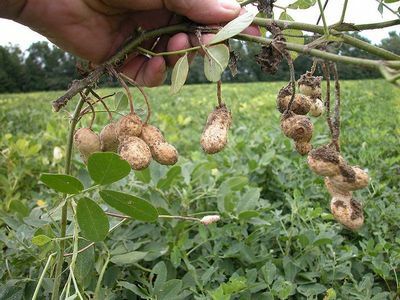 Unlike the wild groundnuts, these synthetic groundnuts can be crossed to the cultivated type, bringing with them treasure troves of beneficial genes pertaining to the wild that would be otherwise unreachable for the cultivated varieties. Taking this one step further, the CIRAD‒ISRA team, in a close North‒South partnership, has used one of the synthetics from the Brazilian programme to generate new genetic diversity in the groundnut cultivar Fleur11. They are using additional synthetics from ICRISAT to further enlarge this genetic diversity in cultivated groundnuts. Among other goals, the team notably achieved a world first: “To produce the first SSR-based genetic linkage map for cultivated groundnuts!” declares Vincent. SSR stands for simple sequence repeat. The map was published in 2009, followed later on by a groundnut consensus map in 2012. 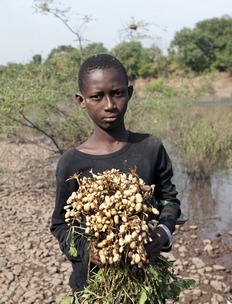 Youngster bearing fresh groundnuts along River Gambia in Senegal. In Phase II of the TLI Project which terminates in mid-2014, the team has continued to identify new genetic and genomic resources, for instance new sources of drought resistance from the germplasm and which are currently being used in the development of new breeding stocks. What is significant about this is that groundnuts ‒ like most other members of the legume family ‒ do not have much in the way of genomic and molecular-genetic resources, and are in fact consequently referred to in some circles as ‘orphans’ of the genome revolution. The focus has also been on resistance to rust, early and late leaf spot, and rosette – all economically critical diseases – by tapping the resilience of GBPD4, a cultivar resistant to rust and leaf spot, and introducing its dual resistance to fortify the most popular varieties against these diseases. The team also hopes to scale up these promising examples. We believe this team is firmly on the way to fulfilling their two-fold project objectives which were: (1) to develop genomic resources and produce the first molecular-breeding products of the crop by injecting disease resistance (from TLI Phase I work) into farmer- and market-preferred varieties; and, (2) to lay the foundation for future marker-assisted recurrent selection (MARS) breeding by tapping on newly identified sources of drought tolerance. But the team is not resting on their laurels, as the work will not stop with the fulfillment of project objectives. In many ways, their achievements are in fact just the beginning. 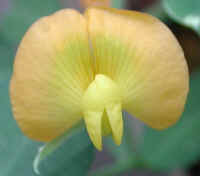 The new breeding stocks developed during TLI Phase II need to be evaluated further for their drought tolerance and disease resistance prior to their deployment in breeding programmes, and this activity ‒ among others ‒ is included for the next phase of the work in the proposed Tropical Legumes III project. In particular, the genetic stocks that hold the most promise to overcome leaf disease are found in the wild relatives. Thus, the existing materials need to be fully exploited and more need to be produced to cover the full breadth of potential stresses. Vincent adds “Of course an increasing part of the efforts will be about assuring quality evaluation data, meaning we must continue to significantly enhance the capacity ‒ both human and physical ‒ of our partners in target countries. Last but not least, the good wheat and rice cultivars that directly arose from the green revolution would have been nothing without nitrogen fertiliser and irrigation.” Vincent adds that the same applies to groundnuts: they are cultivated in infertile soil, at seeding rates that are unlikely to optimise productivity. Much food for thought there! And probably the beginnings of an animated conversation to which a groundnut crop model, on which Vincent and team are currently working, could soon yield some interesting answers on the most suitable genetic-by-management packages, and therefore guide the most adequate targets for crop improvement. *Editorial note: Erratum – Photo changed on April 8 2014, as the previous one depicted chickpeas, not groundnuts. We apologise to our readers for the error. 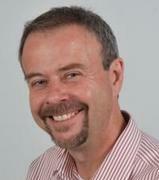 Our guest today is Jeff Ehlers (pictured), Programme Officer at the Bill & Melinda Gates Foundation. Jeff’s an old friend of GCP, most familiar to the GCP community in his immediate past stomping grounds at the University of California, Riverside (UCR), USA, leading our research to improve cowpea production in the tropics, for which sunny California offers a perfect spot for effective phenotyping. Even then, Jeff was not new to CGIAR, as we’ll see from his career crossings. But let’s not get ahead of ourselves in narrating Jeff’s tale. First, what would high-end cowpea research have to do with crusading and catapults? Only Jeff can tell us, so please do read on! Growing up in USA’s Golden State of California, green-fingered Jeff had a passion for cultivating the land rather than laboratory samples, harbouring keen ambitions to become a farmer. This did not change with the years as he transited from childhood to adolescence. The child grew into a youth who was an avid gardener: in his student days, Jeff threw his energy into creating a community garden project ‒ an initiative which promptly caught the eye of his high school counsellor, who suggested Jeff give the Plant Science Department at UCR a go for undergraduate studies. Flashback: UCR cowpea team in 2009. Left to right: Wellington Muchero, Ndeye Ndack Diop (familiar, right?! 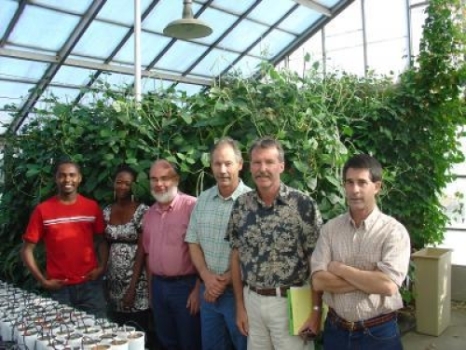 ), Raymond Fenton, Jeff Ehlers, Philip Roberts and Timothy Close in a greenhouse on the UCR campus, with cowpeas in the background. Ndeye Ndack and Jeff seem to love upstaging each other. She came to UCR as a postdoc working under Jeff, then she moved to GCP, with oversight over the TLI project, thereby becoming Jeff’s boss, then he moved to the Foundation with oversight over TLI. So, what do you think might be our Ndeye Ndack’s next stop once GCP winds up in 2014? One can reasonably speculate….! In this regard, Jeff has played a leading role in supporting skill development and organising training for his team members and colleagues across sub-Saharan Africa, meaning that partners from Mozambique, Burkina Faso and Senegal, among others, are now, in Phase II of the TLI project, moving full steam ahead with marker-assisted and backcross legume breeding at national level, thanks to the genotyping platform and genetic fingerprints from Phase I of the project. 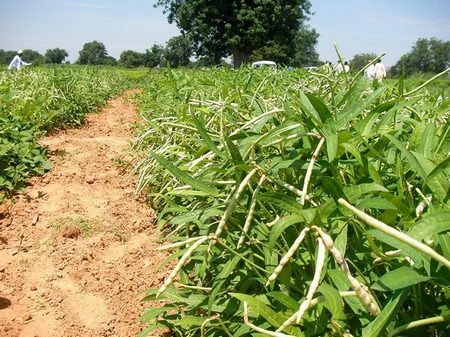 The genotyping platform, which is now publicly available to anyone looking to undertake marker-assisted breeding for cowpeas, is being widely used by research teams not only in Africa but also in China. Thanks in part then to Jeff and his team, the wheels of the genomics revolution for cowpeas are well and truly in motion. Well-versed in conquering the seemingly unobtainable, Jeff shares some pearls of wisdom for young budding crop scientists:”Be motivated by the mission, and the ideas and the science, and not by what’s easy, or by what brings you the most immediate gratification,” he advises, going on to explain: “Cowpeas have been through some really tough times. Yet, my partners and I stuck it out, remained dedicated and kept working.” And the proof of Jeff’s persistence is very much in the pudding, with his team at UCR having become widely acclaimed for their success in catapulting cowpeas into the fast lane of crop research. It was a success that led him to the hallways of the Bill & Melinda Gates Foundation, where, after two decades at UCR, Jeff is currently broadening his legume love affair to also embrace beans, groundnuts, chickpeas, pigeonpeas and soya beans. 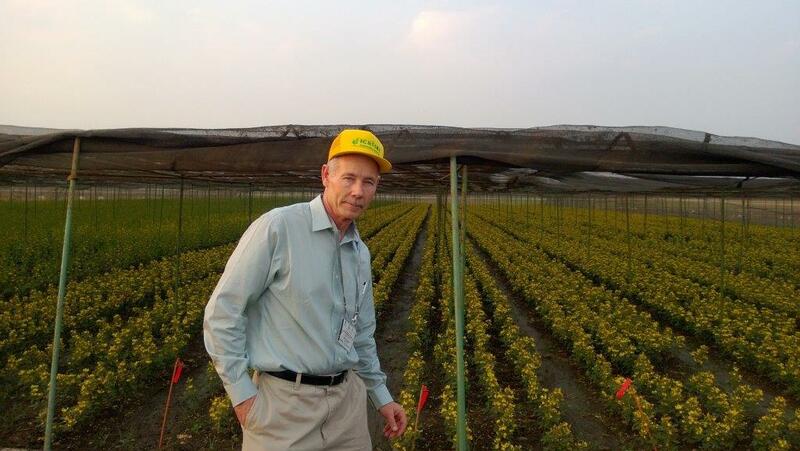 February 2014: Jeff donning his (now-not-so-)new Gates hat and on the road, visiting ICRISAT in India. Behind him is an ICRISAT experimental field of early-maturing pigeonpeas. Here, our conquering crusader is ‘helmeted’ in an ICRISAT cap, even if not horsed and caparisoned for this ‘peacetime’ pigeonpea mission! 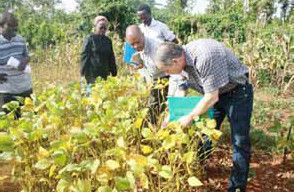 Jeff (foreground) inspecting soya bean trials in Kakamega, Kenya, in January 2013. Next to Jeff is Emmanuel Monyo, the coordinator of the Tropical Legumes II (TLII) project – TLI’s twin – whose brief is seed multiplication. TLII is therefore responsible for translating research outputs from TLI into tangible products in the form of improved legume varieties. Whilst it’s been several years since he donned his wellington boots for the gardening project of his youth, what’s clear in this closing statement is an unremitting and deeply ingrained sense of community spirit – albeit with a global outlook – and a fight for the greater good that remain at the core of Jeff’s professional philosophy today. No doubt, our cowpea champion and his colleagues have come a long way, with foundations now firmly laid for modern breeding in the crop on a global scale, and – thanks to channels now being established to achieve the same for close relatives of the species – all signs indicate that the best is yet to come! Check out Jeff’s new perch: see more of what he’s been up to – and with whom he’s been hobnobbing – through these thousand-words-worth photos. Being a woman scientist in today’s world (or at any time in history!) is no mean feat, science traditionally having been the domain of men. We are therefore drawn to this sub-theme: Inspiring change, in addition to the global theme Equality for women is progress for all, To mark International Women’s Day tomorrow, UNESCO has developed an interactive tool which collates facts and figures from across the world on women in science. The cold scientific truth displayed in the attractive petri dish design shows that only 30 percent of researchers worldwide are women. In our International Women’s Day multimedia expo, we profile the life and work of a selection of our smart scientific sisters through words, pictures and sound, to explain just how they overcame obstacles, from taking that first hurdle to study science at an early age, to mobility up the research rungs to reach the very top of their game, all the while balancing work, life and family. Hello Africa! Switching continents and media, we now we move from the written medium to tune in to the melodic tones of Elizabeth Parkes (Crops Research Institute [CRI] of Ghana’s Council for Scientific and Industrial Research [CSIR], currently on leave of absence at the International Institute of Tropical Agriculture [ IITA]). We’re now at profile number seven in GCP’s gallery of women in science. Elizabeth, who is GCP’s Lead Cassava Researcher in Ghana, narrates an all-inclusive engaging story on the importance to agriculture of women scientists, women farmers, and cassava the wonder crop – all captured on memorable sound waves in this podcast. In the wake of some recent high-profile screen awards, we close our multimedia expo with impressions of our science sisterhood through the medium of the seventh art: the magic visual world of the movies! A good fit for a Friday! The following tasteful and tasty (you’ll see why!) blogpost takes our film fans right onto the red carpet to rub shoulders with our scientific screen stars! 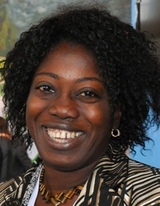 The first screen star you’ll meet is Marie-Noëlle Ndjiondjop (Africa Rice Center), Principal Investigator (PI) of GCP’s Rice Research Initiative, who opens the video-viewing session with seven succulent slices of rice research delight. 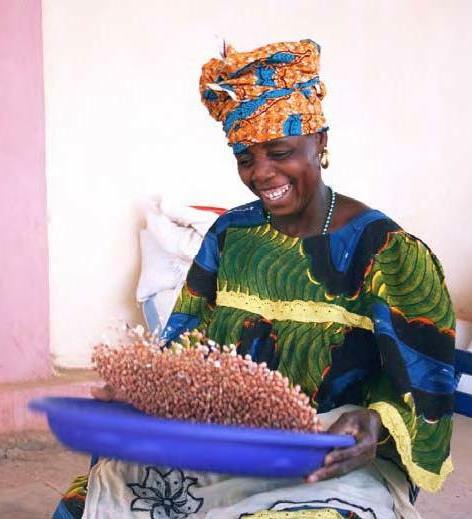 Her movies are set in the rice-growing lands of Africa, where this savoury cereal is fast becoming a staple, and tackles the tricky topics of rice-growing constraints, capacity building, molecular breeding methods, and the colossal capacity of community in collaborative research projects. From our Integrated Breeding Platform (IBP), more portraits of women in science, who are keen users of IBP tools and beneficiaries of the Platform’s capacity-building opportunities. Armin Bhuiya (pictured) is a dynamic and lively young geneticist and plant breeder, who has made huge strides in tracking crucial genes in Bangladeshi rice landraces (or traditional farmer varieties). Armin took a ‘sandwich’ approach twinning two traits – salt and submergence tolerance – in order to boost farmers’ yields. Her quest for salt-impervious ‘amphibian’ rice has seen her cross frontiers to The Philippines, and back to her native Bangladesh with solutions that will make a difference, borrowing a leaf along the way from the mythical submarine world of Atlantis for life under water. Using cutting-edge crop science, Armin is literally recreating out-of-this-world stuff working two elements of the ancient world – earth and water – plus that commodity that was then so prized enjoying a premium comparable to gems: salt. Read on! “My father worked at the Bangladesh Rice Research Institute (BRRI), which basically means I grew up in rice research. You could say that I was born and bred in agriculture and this inspired me to study agriculture myself,” says Armin. As a result of these early experiences, Armin started a master’s degree in 2006 on genetics and plant breeding, specialising in hybrid rice. Ever since, rice has been her religion, following in the footsteps of her father to join the Bangladesh Rice Research Institute (BRRI). Not content pondering over the question by herself, her natural two-track approach kicked in. Mulling with her colleagues from BRRI, the answer, it first seemed, was to find ways to produce salt-tolerant high-yielding rice. In Bangladesh and many other parts of South and Southeast Asia, climate change is driving up the sea level, spreading salinity further and deeper across low-lying coastal rice-fields, beyond the bounds where salt-drenched terrain has long been a perennial problem. Modern rice varieties are highly sensitive to salt. So, despite the low yields and quality, farmers continue to favour hardy traditional rice landraces that can take the heat and hit from the salt. Proceeding from this earthy farmer reality and inverting the research–development continuum, Armin needed no further thinking as the farmers showed the way to go. Her role and the difference she could make was to track the ‘treasure’ genes locked in these landraces that were transferred to high-yielding but salt-sensitive rice varieties, to fortify them against salt. But that was not all. There’s power in numbers and consulting others, harnessing the best in diversity. In comes the two-track approach again, with Armin now turning to fellow scientists again, with the reality from farmers. Upon further consultations with colleagues, yet another fundamental facet emerged that could not be ignored. Apparently, salt-impervious rice alone would not be not enough, and here’s why. Salt and tides aside, during the rainy season inland, flash floods regularly submerge the fields, literally drowning the crop. More than 20 million hectares in South and Southeast Asia are affected – including two million hectares in coastal Bangladesh alone. The southern belt of Bangladesh is particularly affected, as modern varieties are sensitive to not only submergence but also salinity. So Armin had her work cut out for her, and she now knew that for the fruit of her labour to boost rice production in coastal regions as well (two tracks again! Inland and coastal low-lying rice-lands), what she needed to do was to work on producing high-yielding, salt-impervious, ‘amphibian’ rice that could withstand not only salinity but also submarine life. In other words, pretty much rice for a latter-day real-life rendition of the mythical Atlantis. The opportunity that opened the door for Armin to fulfil her dream was a DuPont Pioneer postgraduate fellowship implemented by GCP. The competitive programme provides grants for postgraduate study in plant breeding and genetics to boost the yields of staple food crops. This fellowship took Armin to Filipino shores and the molecular breeding labs at the International Rice Research Institute (IRRI). Here she got what she terms a golden opportunity to work under the tutelage of Abdelbagi Ismail, a leading plant physiologist focusing on overcoming abiotic stresses. From him, Armin learnt how carry out the precise meticulous research required for identifying quantitative trait loci (QTLs). Armin at work at the IRRI greenhouse in 2011. Armin conducted her research with two different mapping populations, both derived from Bangladeshi landraces (Kutipatnai and Ashfal). She found a total of nine quantitative trait loci (QTLs) from one mapping population and 82 QTLs from another for tolerance to salinity stress at seedling stage (QTL is a gene locus where allelic variation is associated with variation in a quantitative trait). Incorporating these additional genes into a high-yielding variety will help to develop promising salt-tolerant varieties in future. She has also successfully incorporated QTLs for dual tolerance to salinity (Saltol) and submergence (Sub1) in the popular Bangladeshi mega-variety, BR11. Stacking (or ‘pyramiding’ in technical terms) Saltol and Sub1 QTLs in BR11 will provide the ideal salt-tolerant ‘amphibian’ rice suitable for farmers in the flood-prone salty-water-drenched swaths of southern Bangladesh. While Armin’s research promises to make a real difference in coastal rice-growing areas, Armin herself has the potential to lead modern plant breeding at her institute, carry GCP work forward in the long term, post-GCP, and to inspire others as she herself was inspired – to make dreams come true and stimulate change. 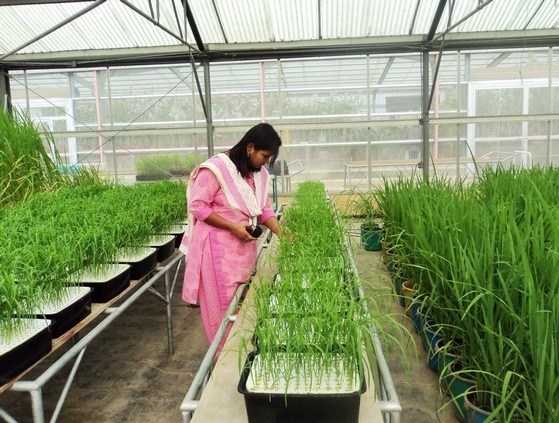 An inspired rice scientist is herself an inspiration. You will agree with us that Armin personifies Inspiring change, our favoured sub-theme for International Women’s Day this year. Go, Armin, Go! We’re mighty proud of what you’ve achieved, which we have no doubt serves as inspiration for others! PHOTO: Armin at GCP’s General Research Meeting 2013. Photo-story coming soon! Wanting to remedy this billion-strong calamity, Rebecca has spent the last quarter century working with national and international institutes in Asia, Africa and the Americas. 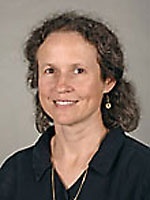 During this time, she has focused on understanding the ways in which plants defend themselves against diseases. This means identifying crops with disease-resistant traits and using them to breed disease-resistant crops with long-lasting protection from a multitude of diseases. After completing a PhD in zoology at the University of Washington, USA, in 1988, Rebecca spent eight years in The Philippines at the International Rice Research Institute (IRRI) and then five years at the International Potato Center in Peru. “I wanted to get out into the world and try and have a practical impact instead of doing research for the sake of research,” she says. During her time in The Philippines, Rebecca worked on several rice disease-resistance projects. She was to continue many of these projects nine years later, as part of her GCP project – Targeted discovery of superior disease QTL alleles in the maize and rice. “We were really grateful that GCP funded us so we could continue to understand and build resistance to rice blast and bacterial blight, and to connect the work on rice and maize,” she says. 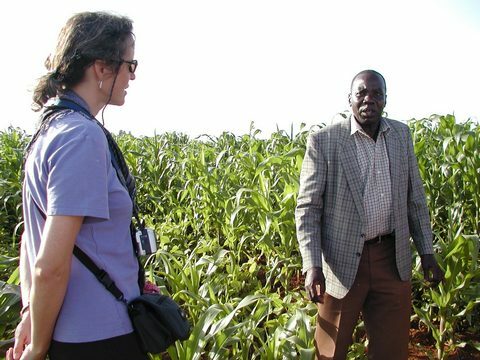 Rebecca (left) on a field visit to Kenya in September 2006. On the left is John Okalembo of Moi University, with James Gethi behind the camera. At Cornell, Rebecca oversees her own laboratory and still finds time to teach a class on international agriculture and rural development. She also serves as scientific director for the McKnight Foundation’s Collaborative Crop Research Program (CCRP), a grants programme funding agricultural research in developing countries. Growing up with science…and a moderate Rebecca rebellion! As our conversation draws to a close, Rebecca reveals she is currently skyping from the bedroom she grew up in, in Bethesda, Maryland, half an hour from downtown Washington DC, USA. “I’m down visiting my parents before I jet off to West Africa tomorrow,” she says where she is carrying out her CCRP commitments. Rebecca credits her parents for encouraging her scientific inquisitiveness and determination to aid those in need. “Both of my parents are physicians, as is my younger brother. I thought I was a rebel with my interest in agriculture, but my younger sister is a farmer and agroecologist, so I guess we’re both straddling agriculture and science,” Rebecca says with a laugh. “In all honesty though, my parents encouraged all of us to follow what we were fascinated by and passionate about, and for me and my sister, that was agriculture. We reared goats in our suburban backyard, dissected animal road-kills on the kitchen table and even turned the family swimming pool into a fish-pond because we wanted to learn about fish farming!” Rebecca recollects with great fondness. A perennial passion for cassava, and walking with giants: Elizabeth with the pick of the crop for the 2014 cassava harvest season at IITA, Ibadan, Nigeria. On first tentatively dipping her toe into the professional waters of crop science when growing up in her native Ghana, initial reactions from her nearest and dearest suggested that carving out a name for herself in her career of choice was never going to be a walk in the park: “As an only girl among eight boys of whom three were half-siblings, and the youngest child, my father was not very amused; he thought agricultural research was a man’s job!” she recalls. 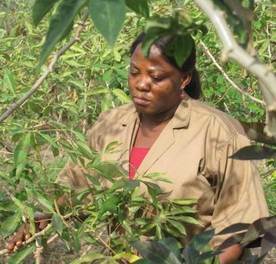 Undeterred and ever more determined to turn this commonly held canard on its head, Elizabeth went on to bag a Bachelor’s degree in Agriculture, a diploma in Education, and an MPhil degree in Crop Science. During a stint of national service between academic degrees, she approached a scientist engaged in root and tuber projects at Ghana’s Council for Scientific and Industrial Research (CSIR) Crops Research Institute (CRI), offering to carry out some research on cassava, and soon establishing the institute’s first trials in Techiman, in the Brong Ahafo Region,where she was doing her national service. Recognising all the hallmarks of a great scientist, nurturer and leader, her CRI colleagues were quick to welcome this fresh talent into the fold as an Assistant Research Officer, with the full treasure trove of root tuber crops – from cassava to sweet potato to yam and cocoyam, among others – all falling under her remit. Not a bad start for the first woman to be assigned to the project! Quickly proving herself as a fiercely cerebral researcher with a natural knack for the plant sciences, Elizabeth was encouraged by seasoned (then) GCP scientist, Martin Fregene (their paths had crossed during Elizabeth’s master’s degree thanks to research collaboration with the International Institute of Tropical Agriculture – IITA), to embark on a PhD degree with a focus on cassava. Coinciding with an era when links between Martin’s then home institute, the International Center for Tropical Agriculture (CIAT) and GCP were beginning to really take off the ground, it was a move that proved timely, and a path which Elizabeth pursued with her characteristic vigour and aplomb, climbing the GCP research ranks from multiple travel-grant recipient to a research fellow, and, more recently, to Lead Researcher for GCP’s cassava work in Ghana. Now a well established cassava connoisseur who regularly rubs shoulders with the crème de la crème of the global crop science community, Elizabeth specialises in drought tolerance and disease resistance in the GCP-related aspects of her work, whilst also turning her hand to biofortification research for GCP sister CGIAR Challenge Programme, HarvestPlus. Life aboard the GCP ship, Elizabeth reveals, has offered a wealth of professional opportunities, both on personal and institutional levels. GCP-funded infrastructure, such as weather stations and irrigation systems, has helped to boost yields and enhance the efficiency of CRI trials, she observes. Professional development for herself and her team, she says, has been multifold: “Through our GCP work, we were able to build a lab and kick-start marker-assisted breeding – that ignited the beginning of biotechnology activities in CRI,” Elizabeth asserts. It was a breakthrough which Elizabeth spearheaded, and which, happily, has since become run-of-the mill practice for the institute: “Now CRI scientists are regularly using molecular tools to do their work and are making cassava crosses on their own.” The positive domino effect of this change in tide cannot be underestimated: “Our once small biotechnology laboratory has evolved into a Centre of Excellence under the West Africa Agricultural Productivity Programme. Its first-class facilities, training courses and guiding hand in finding solutions have attracted countless visiting scientists, both from Ghana and internationally – this means that the subregion is also benefitting enormously.” The GCP’s Genotyping Support Service (GSS), Elizabeth affirms, has also proved an invaluable sidekick to these developments: “Through the GSS, our team learnt how to extract DNA as a first step, and later to re-enact all the activities that were initially done for us externally – data sequencing, interpretation and analysis for example – on a smaller scale in our own lab.” The collection and crunching of data has also become a breeze: “Thanks to GCP’s support, we have become a pace-setter for electronic data gathering using tablets, field notebooks and hand-held devices,” she adds. Ruth Prempeh, one of Elizabeth’s charges, collecting data for her GCP-funded PhD on cassava post-harvest physiological deterioration. Ruth is one of those whose work–family balance Elizabeth celebrates. Ruth has since submitted her thesis awaiting results. As you’ll hear in the podcast below, both of Ruth’s young children have each, er, sort of ‘attended’ two big GCP events! At IITA, Elizabeth continues to be an inspiration on work–life balance for women working on their PhDs, and more so for young women whose work is on cassava. In a male-dominated environment (global statistics report that women researchers are a meagre 30 percent), this inspiration is critical. . In terms of future horizons, Elizabeth – who after more than two decades of service at CRI is currently on leave of absence at IITA where she’s working on biofortification of cassava – hopes to thereby further advance her work on cassava biofortification, and perhaps later move into a management role, focusing on decision-making and leading agricultural research leaders with monitoring and evaluation specifically to “ensure that the right people are being equipped with skills and knowledge, and that those people are in turn teaching others.” She is also confident that any young, gifted researcher with an eye on the prize would be foolhardy to overlook what Elizabeth views as a golden opportunity for creating meaningful and lasting impacts: “We’re in a blessed and privileged era where cassava, an ancient and once orphan crop, is now receiving lots of attention. Every agricultural research lead we have in Africa is there to be seized – I encourage young scientists to come on board!” A clear and convincing clarion call to budding breeders or potential cassava converts if ever there was one…. who wants in, in this love-match where cassava and capacity building are truly two peas in a pod? Like meets like in a fair match: Our cassava champion in a male-dominated environment, Elizabeth, meets her match in Farmer Beatrice who refused to take no for an answer, and beat Elizabeth hands down. Listen to this!